Order cake online in Kolkata or send flowers to Kolkata from Wish A Cupcake and get free home delivery to Kolkata. Looking for a delicious cake in Kolkata, or want to send flowers to Kolkata? Wish A Cupcake offers premium quality cakes and flowers delivered to your doorstep. Order a freshly baked cake or flowers for delivery across Kolkata. Our bakery products now come in eggless cake options. Our home delivery services make it easier than ever for you to order a cake online, or buy flowers online. Wish A Cupcake offers one of the best and top quality cakes in Kolkata and flowers in Kolkata. Our attention is towards excellence and freshness of cakes and flowers. Daily discounts are available on our collection of cakes and flowers meant for all occasions and events. You’ll be able to purchase your cake online for delivery in Kolkata, and also send flowers online in Kolkata. Place your order now for delivery anywhere in Kolkata! Same day cake delivery. Send cakes to Kolkata. Buy and send a cake to Kolkata with Wish A Cupcake. We offer free home delivery of cakes in Kolkata. Feel free to order a birthday cake, wedding cake, corporate cake, anniversary cake, cake for parties and special events. Our online cake delivery services ensure same day and midnight cake delivery in Kolkata. Buy and send flowers to Kolkata with Wish A Cupcake. We offer free home delivery of flowers in Kolkata. Feel free to order flowers for birthdays, flowers for weddings, corporate flowers, flowers for anniversary, flowers for parties and special events. Our online flower delivery services ensure same day and midnight flower delivery in Kolkata. Kolkata is the cultural capital of India that celebrates festivals with love and enthusiasm. Online Cake Delivery in Kolkata delivers our exquisite collection of cakes right to your doorstep. 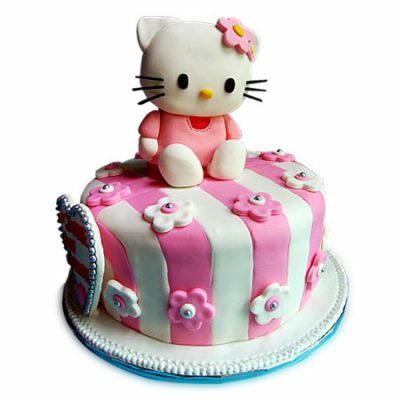 Send Cakes to Kolkata from our awesome online retail store at Wish A Cupcake. The collection of cakes includes Eggless cake that comes in the Chocolate truffle cake, vanilla cake, pineapple cake, butterscotch cake, fruit cake flavors. These cakes are Best for gifting on Birthdays, Anniversary and any special occasions. Have a look at our large collection of cakes at affordable prices. The black forest eggless cake is sure to create a stir. Have delightful refreshment with your loved ones and celebrate the event in the most special way. Our spongy and moist cakes are topped with fresh cream and cherries making it lip-smacking. Buy cake in Kolkata online and spend a memorable moment with your close ones. Cakes are a major part of any important celebration They are a common dessert item that is surely loved by everyone to the bits. Cakes also play a significant role in many celebrations and festivities. They are the centerpiece at many celebrations like birthday, farewells and weddings while they are also popular as gifts on many other occasions. And for your, every celebration Wish A Cupcake brings to you a wholly unique collection of mouth-watering cakes. Select from an array of fresh cakes and chose your convenient time slot. Order online delivery cakes to Kolkata, Pune, Mumbai, Noida or any other destination in the country. We provide exclusive cakes for all occasions and for all locations in India. We are growing as a renowned online cake delivery store that delivers to more than 350 destinations across the country. For all sort of assistance, please feel free to speak to our customer care representatives. Happy ordering!